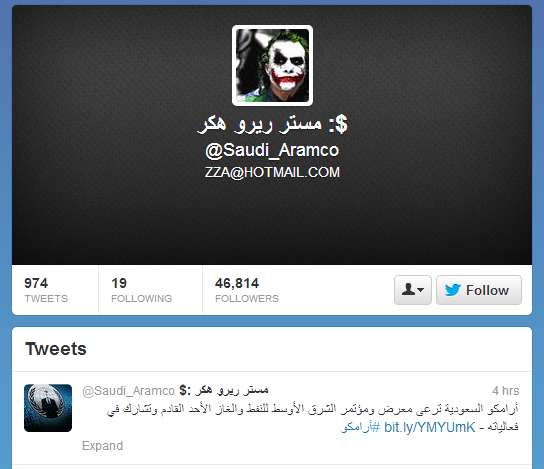 The background on Saudi Aramco’s official Twitter page and the name has been changed by hacker. So far, no tweets posted by hacker. Last year in August about 30,000 workstations inside internal computer networks of Saudi Aramco was infected by a virus. Last month Burger King’s and Jeep’s official Twitter accounts was compromised.